Order your Sabian SBR 16 Inch Crash Cymbal from AMS and enjoy Fast & Free Shipping. Get the Best Deal with our Lowest Price Guarantee & Great Customer Service! 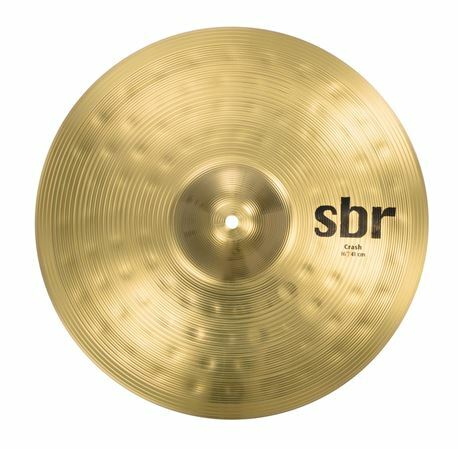 The SABIAN 16" SBr Crash is a loud, punch model, ideal for accenting. With hammered and lathed surface, tightly focused sound and nice price, SBr is in a class of its own. Powered by pure SABIAN Brass.